See my full portfolio here. I also created fun downloadable activities and colouring sheets for the website. The complete package with book and doll will retail for $49.99 and will be available in February 2015 at amazon.com, and available for pre-order soon! 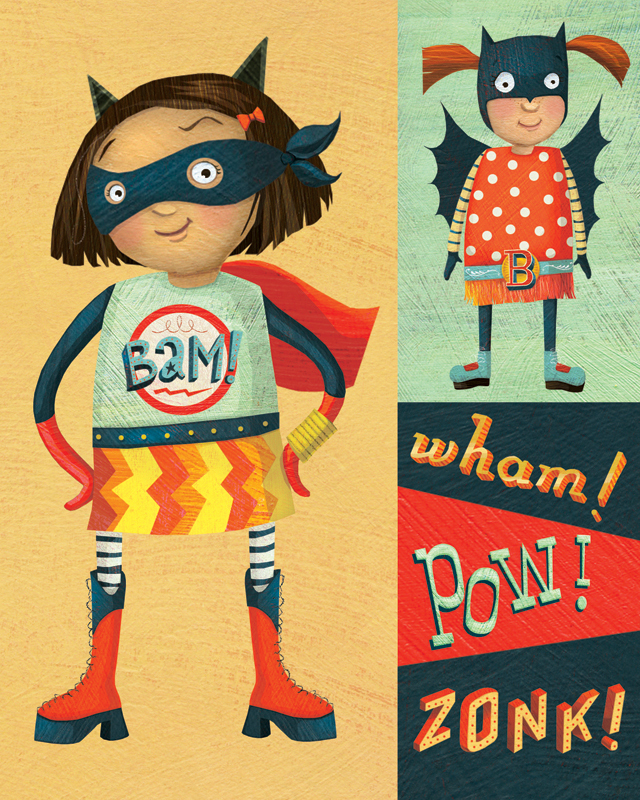 To see more of my illustration portfolio, visit www.w-illo.com! 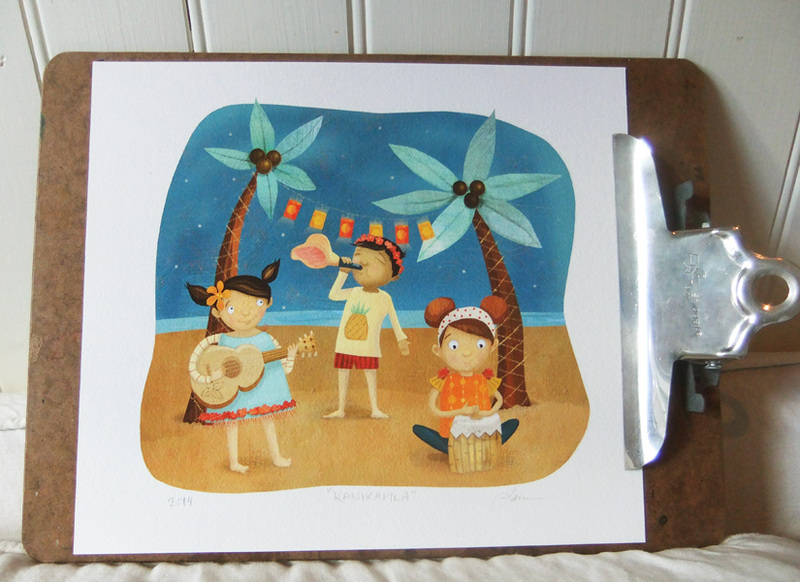 I just added two new 8″ x 10″ prints to my Etsy shop, Janey’s Superette! 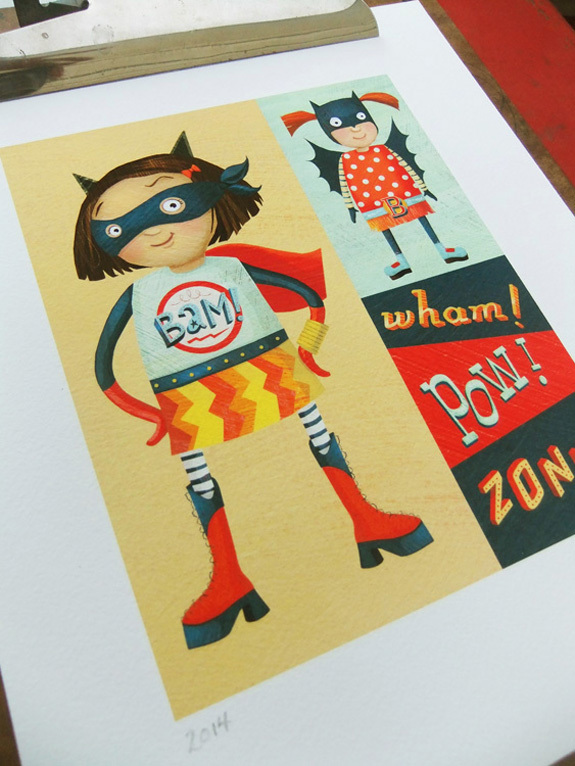 This illustration featuring spunky superhero girls…. 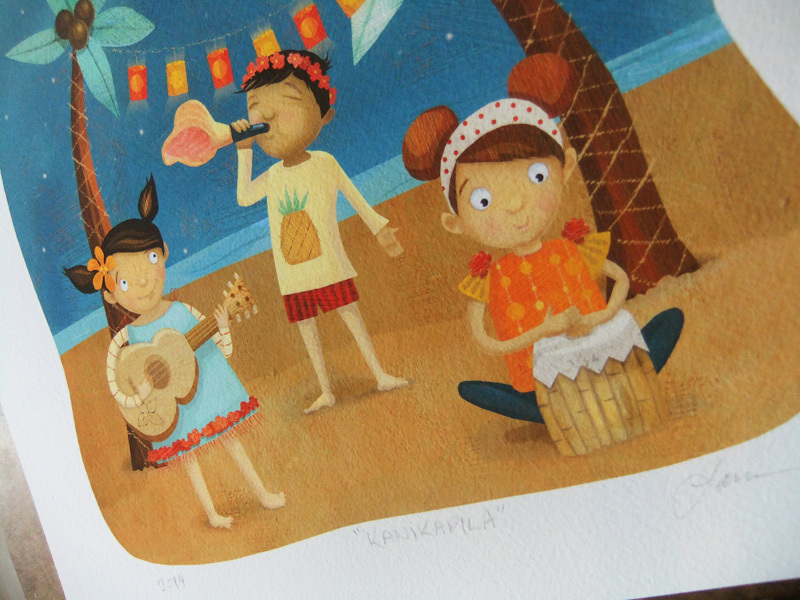 … and this fun beach party jam, Hawaiian style! It’s fall… Time for yummy hot bevvies! I love summer more than almost anything, so the first cool days of fall really bum me out… but then I’m won over by the pretty colour-changing leaves, cozy sweaters, crisp fresh mornings and ESPECIALLY yummy hot spicy drinks like Chai, pumpkin lattes, caramel apple cider, I could go on and on… but then I’d have to run out to Starbucks and never finish this post! 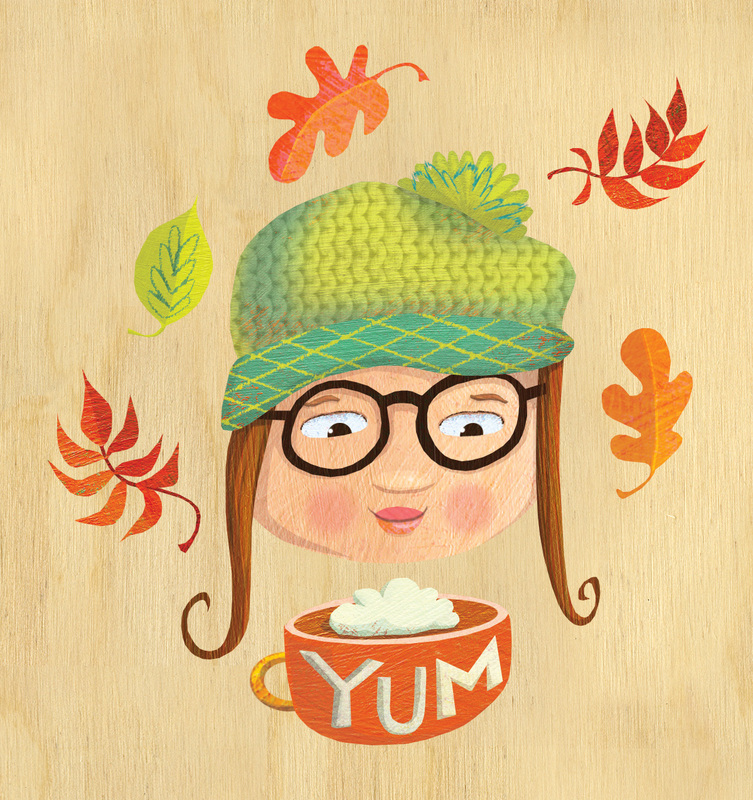 Anyway, my wonderful client Caffé Demetre (a Toronto area chain of desserts-only restaurants) commissioned me to create a whole bunch of seasonal spot illustrations and a few of them were hot-bevvie focused so I thought I’d stick them together on some faux-plywood background, and use them as an excuse to create the girlie one above (to keep them company). Caffé Demetre’s tempting autumn treats include Cider House Rules, Hot Couture and Chai Fall, but if you’re not in the Toronto area here are a few amazing-looking fall hot bevvie recipes to try at home. I’m leaning towards the Pumpkin Pie White Hot Chocolate OR the Hot Caramel Apple Cider Floats… yummmm! !